I’m not seeing a lot of golden shimmer on my nail, though I can see a hint of it in my second picture – hopefully tomorrow I can look at it in the sun – but it is still a gorgeous polish! Kalista was first released in 2008 as part of the Flourish collection , but I only recently bought it during one of the Zoya promotional deals. It’s unlike anything else that I have and now that I have seen it on my fingers, I love it even more than I did in the bottle! This went on very nicely and took 2 thin coats for full opacity. 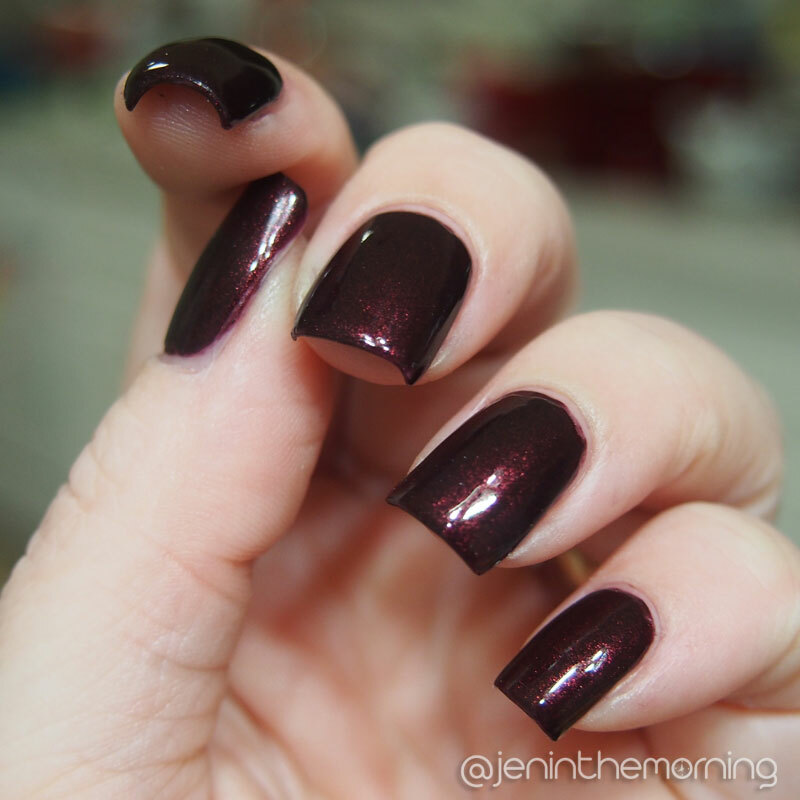 This is a gorgeous shade for fall, especially if you are looking for a darker color that isn’t too vampy. I have and love this color! Just discovered your blog and am really enjoying it. Keep up the great work, looking forward to seeing more!